Agarbatti, incense sticks, used in Hindu Pujas were made from natural materials. It was a cottage industry. This statement was correct a decade back. Today there is mass production of Agarbatti by companies and there is rampant use of chemicals in them. There is no quality control check or proper study done on synthetic agarbattis in India. A recent study found that that the chemicals used to make Agarbatti can cause asthma, cancer and skin irritation. The findings are as per the research led by Rong Zhou of the South China University of Technology and the China Tobacco Guangdong Industrial Company in China, and is published in Springer’s journal Environmental Chemistry Letters. 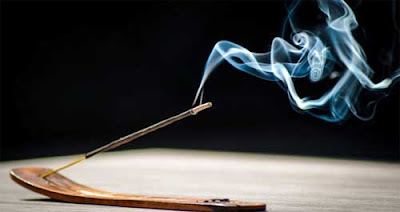 Incense smoke was found to be mutagenic, meaning that it contains chemical properties that could potentially change genetic material such as DNA, and therefore cause mutations. It was also more cytotoxic and genotoxic than the cigarette used in the study. This means that incense smoke is potentially more toxic to a cell, and especially to its genetic contents. Mutagenics, genotoxins and cytotoxins have all been linked to the development of cancers. Smoke from the sampled incense was found to consist almost exclusively (99 percent) of ultrafine and fine particles, and is therefore likely to have adverse health effects. Taken together, the four incense smoke samples contained 64 compounds. While some of these are irritants or are only slightly harmful (hypotoxic), ingredients in two of the samples are known to be highly toxic. Majority of Agarbatti in Market are made from synthetic oils, fragrances and dyes. Natural agarbatti is prepared from resins, stems, leaves, bark, etc. So search in your area for people who are making natural agarbatti. If unable to locate one avoid agarbatti during puja. Light lamp using pure cow ghee. This is healthy and good for the welfare of the family especially small children.